As U.S drug policy continues to rely on a counterproductive drug war, resistance to moving towards decriminalizing addiction, persists. Of course, the losers are young addicts that can and should be rehabilitated. many are on the road to become criminalized addicts, if not already there. Some have a hustle; others fill our jails. Make no mistake, many are our children and relatives. Public and private treatment institutions remain effectively, insignificant in dealing with the populations that need their services. The realty is that it takes money to recover and isolation from the outside world for a typical addict. Treatment professionals agree that a long period of abstinence is necessary for the restoration of naturally occurring dopamine and receptor functioning. Without this transformation and internment, an addict exists in an emotional black hole. The loss of 7 million Americans to addiction each year is very significant. An alcohol and drug dependent America is dragging us down. With exception to the Veterans Administration and federally funded programs, our insurance and healthcare policies are ineffective. They do not deal with co-existing mental disorders or proper treatment. Typical insurance and health care policies consistently demonstrate rejection of proper substance use disorder (SUD) treatment. Except for sparse and difficult public funding, insurance companies rarely pay for basic replacement drug therapy which is relatively cheap. We live in a world that hates addictive behavior, yet silently condones the biggest drug dependent and alcoholic population on earth. People like Governor Scott of Florida ditch prescription databases over privacy and business rights. How does that even fit? Our government claims to want to eradicate demand and source, yet have at least enabled or created a situation in which more pharmaceutical opiates are available than ever and our budget to fight the drug war in Mexico is as counterproductive as our U.S. job eating trade deficit. Instead we jail addicts. Addicts who are not violent, should be screened and sequestered in an environment geared to treatment. Dollars spent to accomplish this can come from otherwise, redundant incarceration. Addicts are human beings that need to be rehabilitated. Jails and prisons are good at warehousing and worsening criminal behavior. 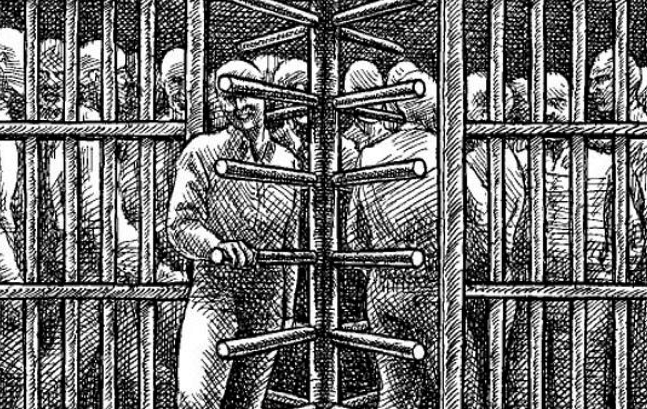 With an exception to federal prisons, what is missing, is the willful intent to screen and rehabilitate. I recently wrote our Senator in PA about this exact topic. If we put effort into long term rehab research and development to give the addicts brain a chance to heal after a year I think we could make large inroads into reducing the impact on our economy, and of course save more lives. Hi Bill, linked to this post today. Its so depressing. I like what Tom M. said. I guess the trick is to get enough politicians (and the general public) to understand what’s going on and why it needs to stop. But its still seen as a moral issue, a character flaw – even though its been proven that its a disease. Ugh. I agree that this post is depressing. So many addicts have mental health issues such as bi-polar disorder, depression, borderline personality disorder, just to name a few. The idea that it can take a year for an addict to begin feeling normal is frightening. This means that 30 day treatment centers can only scratch the surface of the problem. It’s a commom belief that addicts have to “hit bottom” before they are willing to reach out for help. Many members of 12 step programs insist this is the only way addicts or alcoholics will seek treatment. But people with mental health problems will hit bottom repeatedly and have nowhere to turn for help. Families are overburdened. Hospital emergency rooms are filled each day with addicts who have injured themselves. I don’t know what costs more; treatment centers or incarceration. But it seems to me that the moral choice is to provide treatment for anyone at anytime who reaches out for care. My personal experience, tons of parent meetings, and countless readings lead me to direct people ( if they can afford it) to go the long term care route. I mean like minimum 6 months. But our system doesn’t support such places, so they are hard to find. Medical research shows the harder the drugs the more time the brain needs to heal, most feel a year to 16 months. Getting that much time clean cycling thru 30 day programs and dealing with life seriously decreases chances of recovery, thus we have the mess we have. If I can find a politician to support any kind of long term care I would personally work for him/ her. I agree with you. That explains why many coming out of a short stint in jail go right back to it, leading some to say that these addicts just don’t want to quit. I am of mind that addiction must be medicalized for starters.